Our knowledge, experience, and proven success sets us apart. Our mission is to provide the absolute best service to help you achieve your goals. With over 10 years experience helping buyers and sellers from across the globe, the team at Apex Moon has positioned itself to surpass your expectations. Our knowledge, expertise, and network, along with our industry-leading proprietary tools, gives us a distinctive edge over competitors. Professional, ethical, trustworthy - these are only some of the qualities that have helped us build a huge network of business leaders and complete sales totalling in the seven figures. We are experts in the field to help you valuate your domain and match you with the perfect buyer or seller. With more than 10 years of experience studying and analyzing the industry, we have gained a unique set of skills, knowledge, and experience and have built a powerful network that allows us to help you reach your goals. Quality, not quantity - that is our focus. When you list a domain name with us, we take it seriously. We apply ourselves thoroughly and work tirelessly to find the perfect buyer. Unlike many others, when you list your domain with Apex Moon, we don’t simply sit and wait for inbound inquiries. Our vast network and expertise allows us to proactively seek out decision-makers in big companies, the people that will see the true value of your domain name. Want to know the best part? We only get paid if and when we successfully sell your domain. We are so confident that we will find you the perfect buyer at your desired price that we charge no fees upfront. With our massive network of buyers and sellers, we have access to the best domain names on the market. With our extensive expertise in seeking out domain owners and negotiating great prices, there is no one better to get you the domain you want, even if it is not currently for sale. Do you want to purchase a domain name but can’t get in contact with the owner? Do you want to buy a domain name but need guidance on what price to pay? Do you want to acquire a domain name and prefer to remain anonymous? Do you own a domain name and want to know its true value? Are you looking to acquire a domain name and want to know how much you should pay? Apex Moon is your best option to get the most accurate and up-to-date valuation for your domain name. Online valuation tools are notorious for giving completely irrelevant information. With our ears to the ground and fingers on the pulse of the domain industry for many years, we have analyzed, studied, and examined domain names like few others. Additionally, we have proprietary tools that allow us to have access to information nobody else in the industry does. Make sure you consult with us before purchasing or selling a domain name. We take your premium domains and sell them to end users; real businesses and individuals who will get the most value from your Premium Domains and therefore can pay you what they are worth. We don’t just send out mass emails like most so-called Domain Brokers, we pick up the phone and talk directly to decision makers. We leverage our network of relationships and our trusted reputation to get your domain names in front of the right buyers – the buyer with the highest and best use for your domain! This is not a service we offer to everyone, but a select few of our clients put their domain portfolio in our care. Our Portfolio Management is a full service that takes care of the entirety of your domain name portfolio. We will ensure your domain names are taken care of, renewed every year, utilized to their full potential, and if desired, sold for the maximum amount to the perfect buyer. We take this service very seriously and if your portfolio is accepted for our Portfolio Management, you can rest assured that your domains are in the best hands possible. I have worked with Jack from Apex Moon on countless deals spanning many years. They are honest, trustworthy, creative, and will go above and beyond to meet your needs. I highly recommend them. From my ten years in the Domaining industry and twenty years in tech sales I have worked with brokers, buyers, sellers, Fortune 500 companies and registrars. I can tell you Jack, the CEO of Apex Moon, is hard working, reliable and trustworthy, he will be persistent with whatever domain you’re working on and consistently responsive. A great guy to work with. 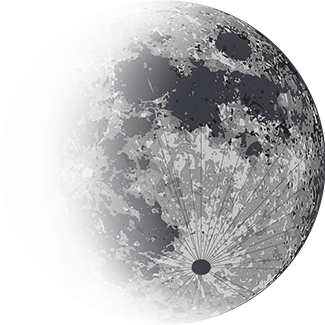 I really enjoyed working with Jack and his team at Apex Moon on our recent domain sale. They made the entire process smooth and effortless, most welcome for a first-time seller like us. Even more importantly, their honesty, professionalism and responsiveness throughout the entire process was outstanding, which enabled us to complete the transaction expeditiously with everyone satisfied. David Lakritz, CEO @ Language Automation, Inc. I've worked with Jack on several transactions. He is a good communicator, professional in his approach, and skilled at closing deals. I hope to do many more deals with Apex Moon. Nat Cohen, CEO @ Telepathy Inc. I have done several deals with Jack at Apex Moon and every deal has gone through smoothly and with great professionalism. I will continue to do more business with Apex Moon due to this. I was skeptical when approached about selling my domain. I have had silly low ball offers for years, and the supposed buyers were flaky or worse. Apex Moon was professional and businesslike the entire transaction. After a short negotiation, we settled on a price I thought was a good deal for me. Apex Moon wired money to escrow.com, I transferred the domain, and escrow.com sent me a wire. The whole process was over in just a few days, and I was very happy with it. No silly stuff - just a straightforward sale with a very professional buyer. Apex Moon was a pleasure to deal with! Michael Cummings, Director @ Cloud Fire Systems Llc. We recently had the pleasure of having Apex Moon enquire and purchase one of the domain names from our premium collection. They were professional, generous with their offer, fast in their review and response times, and very efficient in establishing escrow and managing all stages of the process from start to finish. The domain was negotiated, purchased, paid for, and accepted within a matter of a few short days. We recommend them highly due to their professionalism and positive nature. We sold a domain name to Apex Moon and had a very smooth and no issue transaction. Jack was very easy to deal with, an excellent communicator and true to his word. We'd have no apprehension dealing with Jack and Apex Moon with another business deal and highly recommend them. Thomas Gibson, CEO @ Digital Income, Inc.
I’d encourage any potential seller to do their due diligence before they become involved with a domain broker. After dealing with many fly-by-night brokers, I was pleasantly surprised with the professionalism of Apex Moon and would certainly work with them again. I was in the market to sell my three letter URL and was lead to Jack at Apex Moon. The transaction was handled safe and secure and I would recommend his company's services to all. Jack is a smart investor and a trustworthy buyer. All transactions have been smooth. Do you need help acquiring a domain name? We are experts in domain name acquisitions. Utilize our years of experience negotiating domain acquisition whilst maintaining your anonymity. By choosing Apex Moon, you will have access to the biggest and best domain portfolios.